It’s been a good time for gamers recently, thanks to the deluge of free titles that are arriving right now. Joining the list is one of the best real-time strategy games in recent years: Company of Heroes 2, which is currently available on the Humble Store for the grand total of $0.00. But you better move fast if you want to grab a copy; the deal ends tomorrow (December 16) at 12 pm ET. Developer Relic released the sequel to 2006's Company of Heroes back in 2013, but despite being almost five years old, it's still pretty popular—Steam Charts show it reaching a peak player count of just over 9000 during the last 30 days. 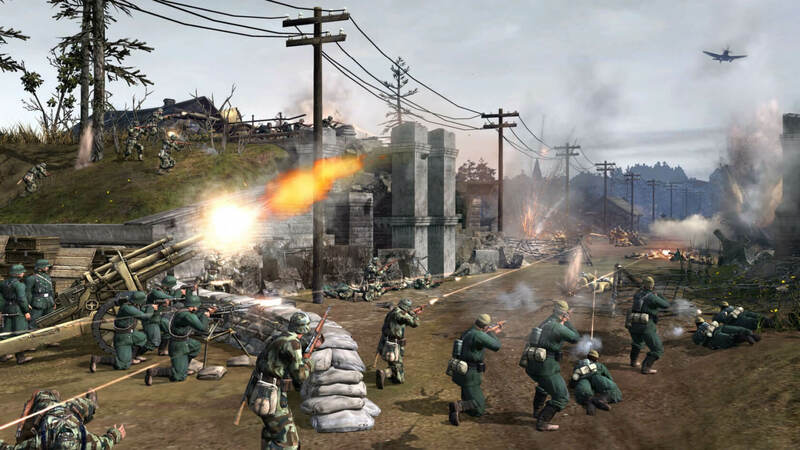 Company of Heroes 2 comes from the same vein as Relic’s other massive RTS franchise, Warhammer 40,000: Dawn of War. The excellent gameplay remains, though in this instance you take control of the soldiers and tanks of World War 2, rather than Space Marines and Venerable Dreadnoughts. Additionally, the Humble Store has put all the Company of Heroes 2 DLC on sale, with the only exception being The British Forces pack, for some reason. If you’d like to try almost everything on offer, the Master Collection includes the base game and virtually all the DLC—Ardennes Assault: Fox Company Rangers is absent—for just $10. The DLC sale ends on December 18. If you’re looking for another free game that’s less strategy and more stabbery, the brilliant Assassin’s Creed 4: Black Flag is being given away on Ubisoft’s Uplay store until December 18.